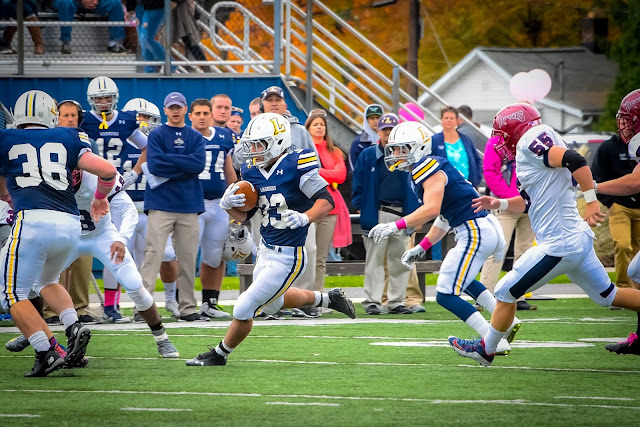 WILLIAMSPORT, Pa. - After posting the Middle Atlantic Conference's top single-game rushing total this year, Lycoming College junior Blake Bowman (Valley View, Pa./Tri-Valley) has earned a slot on the D3football.com Team of the Week, the website announced on Tuesday, Oct. 27. Bowman is the first Warrior to earn D3football.com Team of the Week honors this year and the first since Craig Needhammer ’15 earned the award after rushing for a school-record 299 yards against FDU-Florham on Nov. 20. It is the sixth straight year that a Warrior has earned a slot on the D3football.com Team of the Week.